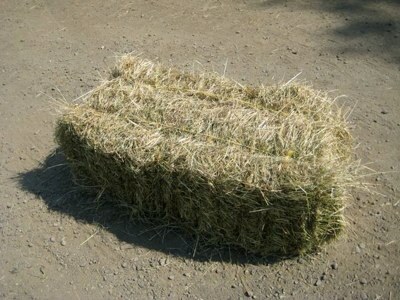 As well as our own sheep, we used to do contract dipping for local farmers. Farms such as Wilton, Trewills, Trewen, West Park, Woodlay, Trago, Budithiel, Pennellick, Penventon, Connon, South Park, Lanwarnick and Pelyne. The sheep were walked by road and the journey timed so that returning flocks did not meet arriving flocks. These times were notified by post card. A policeman would be in attendance having journeyed on his bicycle, to ensure by law that the sheep were in the dip for one minute, four at a time. The dip liquid consisted of arsenic with a colouring of green or red. This proved that the sheep had been dipped. The trough was constructed of brick, hauled by horse and cart from Looe. 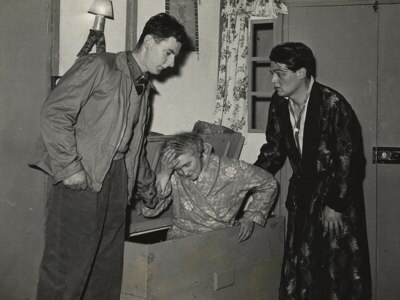 Someone fell in the trough one day and Lewis Chudleigh, who was manning the long-handled dipping crook, said it was so funny he needed someone to join in the laughter. The trough was made safe in 2006. 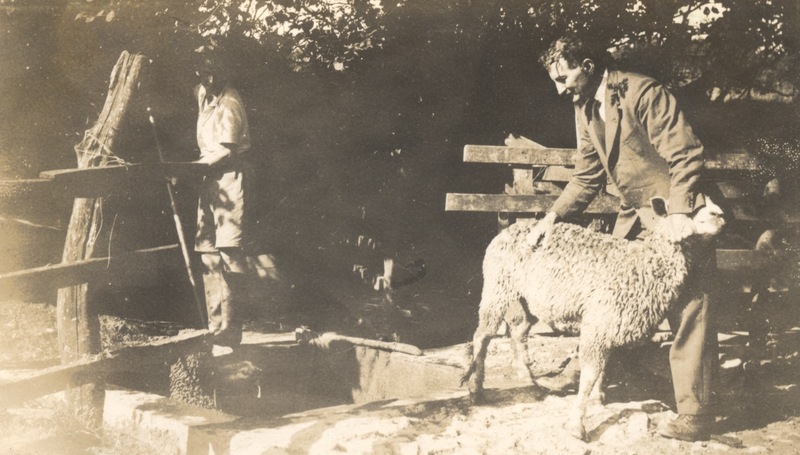 The photograph above shows David Tamblyn (left) and Cyrus Tamblyn (right) dipping sheep at Botelet Farm c.1944. Many years ago we had an unlucky incident with our poultry. 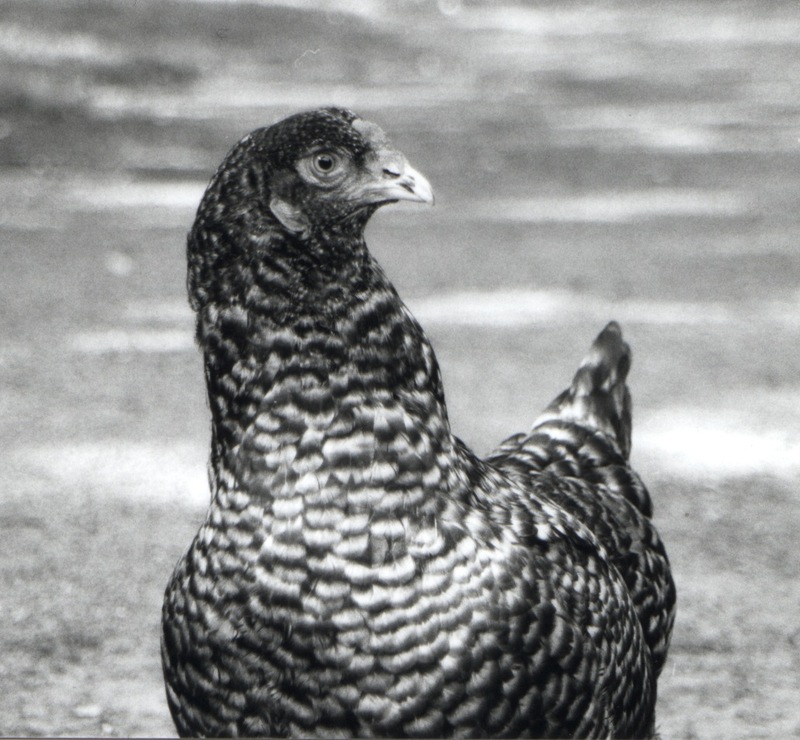 From Kenneth Uglow we had 200 chickens which were about two months old. We put them in a large chicken house which, because of its colour, was called the Red House. As the chicks were still requiring some heat there was a heated by oil lamp canopy, which made a nice warm shelter for them. Having settled them in to our satisfaction we left them for the night. Uncle Tom, Dad’s brother who was living with us, had retired for the night. About an hour after this he came down the stairs to us in the kitchen saying “Excuse me in my shirt, but I can see a fire in the chicken house”. We rushed out to see the chicken house well alight and too far gone to call the fire brigade. The oil lamp for their heat had been over-filled and exploded. So we retired with regret for over-filling the lamp. Next day we found one chick still well alive. This chick continued life and would roost nightly on our farm entrance granite gatepost. Dad in his usual attitude in adversity named it Esau because Esau the rest perish. Norman Arthur, manager of lighting, producer and leader; Geoffrey Pearse, Mrs Batten, Loveday Batten, Mr Hother, George Graham, Mr Easy, producer; John Boynton: Rev Faull; Miss Pengelly; John Whybrow; Francis Pearse, James Northcott, Alan and Mary Verrin, Mrs Oriss, Mr Honey, Mr and Mrs Fishnick, Mr Barker, Vesta and Eunice Arthur, Rev Paget, Tryphena Harris, Phyllis Eded, Mrs Riddle, Francis Collingwood (County drama advisor), Freddie Saunders, Rosemary Chapman, Ethel Medland, Mrs Boynton, Jim Keast, Malcolm Oliver and Leonard Pearse. Raffle to guess the weight of Rev Faull. 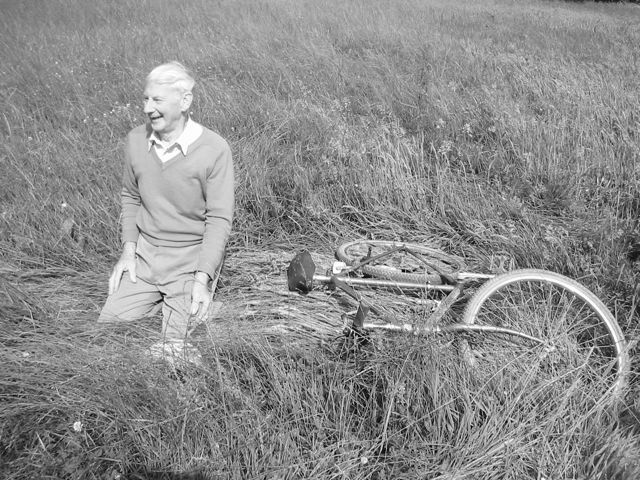 Rev Faull, although blind, was always ready for a laugh. One day for a raffle, he agreed to a ‘Guess your weight’ competition. The time came when he had to be weighed, great fun followed when he had to sit in a chair, be hoisted to a spring balanced attached to a tripod in the schoolroom. He enjoyed the experience as did the other contestant and was very pleased to partake. We used to leave Liskeard Secondary School at 4.10pm each day. It was an eight mile ride back home. In winter, by the time we got to Dobwalls it would be dark. I travelled with my schoolmates on our bikes. Coming into Dobwalls the local policeman, Mr Benny, spotted me cycling quite slowly. “I see boy you’ve got not light”. “I do have a light, Sir”, I replied. “Then show it to me”, he said. So I lifted the bike’s back wheel off the ground and spun it with the pedals as there was a dynamo attached to the wheel. Immediately a brilliant light appeared. “You are travelling too slowly boy, be on your way and go faster”. We were usually seven cyclists and we called ourselves The Light Brigade. 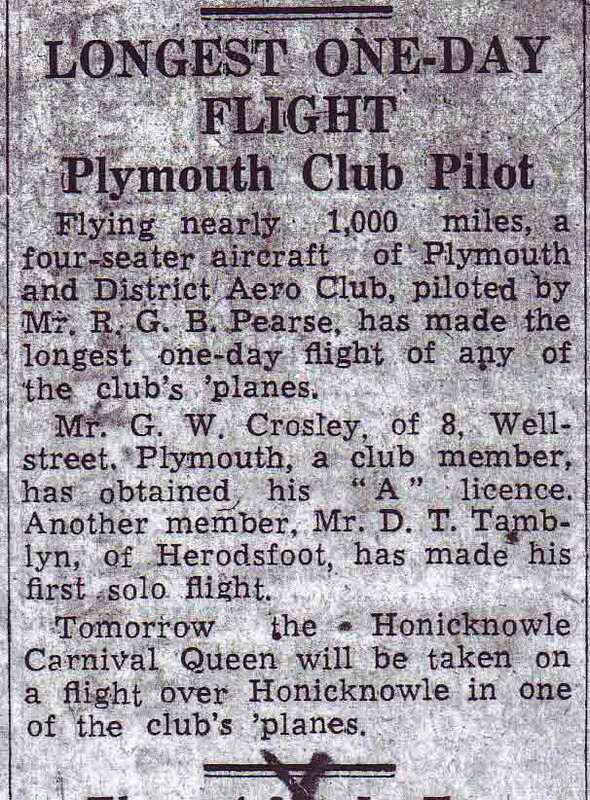 I was 24 years old when I learnt to fly with Plymouth Aero Club at Roborough. 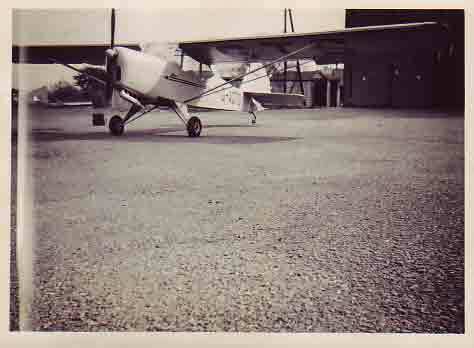 The aircraft was an Auster built by the Taylor Aircraft Co (England) under license from the USA Taylor Craft Aviation Company from 1935, and some 1600 were produced. They were made in Thurmaston, Leicestershire. My father Cyrus Tamblyn would say with pride that he was the owner of the second car in Lanreath Parish: a model T Ford. With that in mind the thought came to me, “Why not be the first flyer in Lanreath Parish?” So I became friendly with a Mr R R Barber from Polperro who was a keen pilot. I became a member of the Plymouth Aero Club and booked lessons. 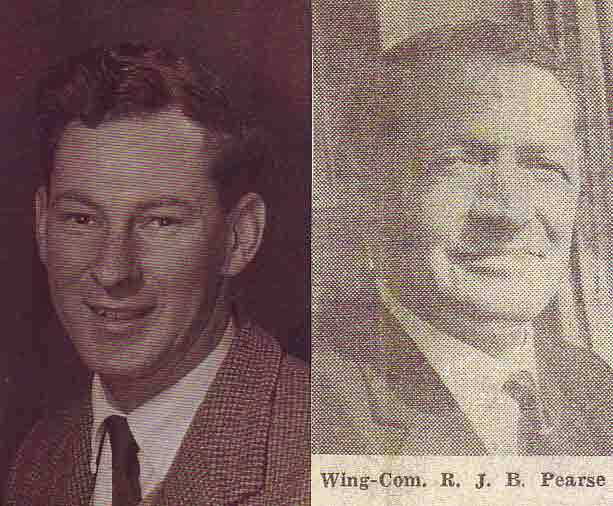 My instructur was Wing Commander R J B Pearse and with him the lessons began at 30 shillings an hour. He was a flying enthusiast and a good friend. After nine hours of instruction including how to get out of a stall, he said I was ready to go solo. With his departing words, “Be sure and bring the plane back as we are short of them! If you have any doubts about landing, go round again”. So coming in to land I thought of his advice and went around again. By the time I came to land, five tender were standing by. But it was a successful landing. One day we flew to the Downs at Buccaburrow near Trecangate, Lanreath. I had to verify to the instructor that there were no stones in this large landing field. I had checked this before. Mother and father who were expecting us had lit a fire so that we could see the wind direction. After this we went home and Mr Pearse had no trouble taking off. Having had my first and last solo flight and achieved my mission, I am content and thrilled to fly with four hundred other passengers in a Boeing 747 and look forward to a flight in the latest plane – the A380. 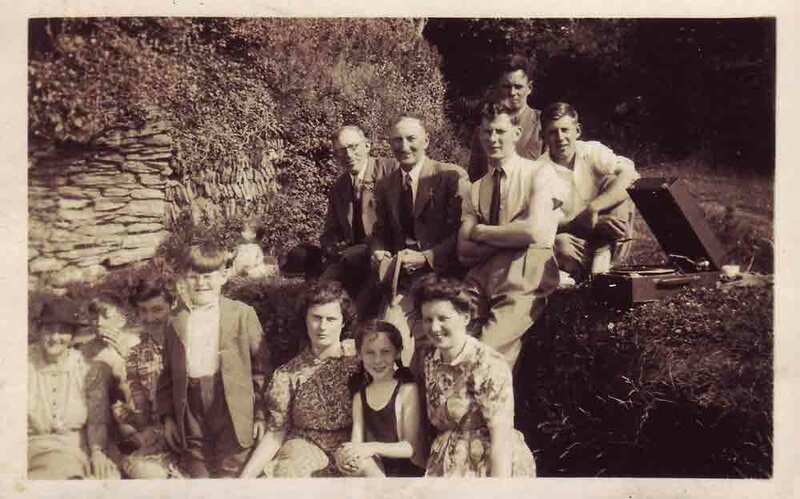 64 years ago I had my 21st birthday at Polkerris with parents Cyrus and Ella, brother Dudley, sister Eula and friends. We enjoyed a picnic there on a wayside patch of ground in the village, accompanied by music from our gramophone record player. Today we go there again for my 85th birthday with friends and family, including Eula, now 92.